Come to us and we’ll give you fast, reliable repairs that are designed to last. We pride ourselves on being honest, prompt, reliable, and professional. Our highly skilled ASE-Certified mechanics provide comprehensive and affordable auto repair services on both foreign and domestic vehicles. We use only certified NAPA auto parts and back our parts and service work with an industry-leading warranty. Lake Country Auto Care is known for taking expectations to a higher level! Our experienced ASE-Certified mechanics provide full scheduled maintenance on foreign and domestic vehicles. Keep your vehicle running safer, smoother and more efficient with skilled and detailed vehicle maintenance at a price you can afford. Brakes, tires, oil changes and more, we provide the scheduled vehicle maintenance, that Pewaukee, and Waukesha County area residents rely on! Lake Country Auto Care is a Certified Auto AC Repair Center of Pewaukee in Waukesha County. Our ASE-Certified mechanics uniquely specialize in repairs auto AC systems. Using only certified NAPA auto parts, highly skilled mechanics and an industry-leading warranty you know you’re always getting the best service at the best price! Check Out Our Google Street View Virtual Tour! 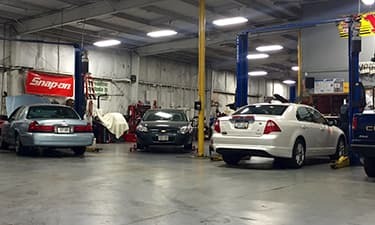 Lake Country Auto Care of Pewaukee provides comprehensive, affordable auto service, including in-depth diagnostics, auto repair and scheduled maintenance. 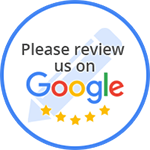 Our local auto repair shop in Pewaukee is an A+ Rated Business by the BBB and received 4.5/5 Stars on CarTalk.com. We are also a certified NAPA Auto Care Center, using only quality NAPA auto parts. We honor the NAPA Peace of Mind Guarantee which certifies that all our parts and auto repair work is backed for 12 months or 12,000 miles. Our Pewaukee auto repair shop, in Waukesha County, only staffs local mechanics who are certified in Automotive Service Excellence (ASE). With over 30 years of industry expertise servicing a variety of vehicles, there's nothing our mechanics haven't seen. The wealth of knowledge paired with continual training and implementation of the latest technology and techniques means you're working with the most reputable, highly skilled mechanics. Lake Country Auto Care is a State Certified Auto AC Repair Center in Pewaukee, Waukesha County. Our experienced, ASE-certified mechanics are uniquely trained for this specific auto repair trade. Being state certified our local mechanics must comply with federal EPA guidelines, so you can rest assured your vehicle's air conditioning system will be boosted or repaired to the industry's highest standards. Contact our local auto repair shop in Pewaukee to request an auto AC repair appointment.